This blog post has nothing to do with gardening, cooking, craft or sustainability but, because I have so many readers in Australia, I thought you might like this little memory. When I was a child we were kept amused by a range of activities. One of our favourite pastimes was jigsaw puzzles. The really big ones were constructed on pieces of painted hardboard that my father salvaged when he replaced the boxing below the banisters with fancy wrought iron scrolls. These boards were slid under the sofa when we were not working on them (an ideal way to mislay pieces) or sometimes placed on the dining table and covered with a cloth so that we ate our dinner off them. I don’t really remember many specific puzzles except for the Jig-maps: jigsaw puzzles in the shape of countries/continents, so no straight edges, with pictures representing iconic scenes or objects from the different regions. 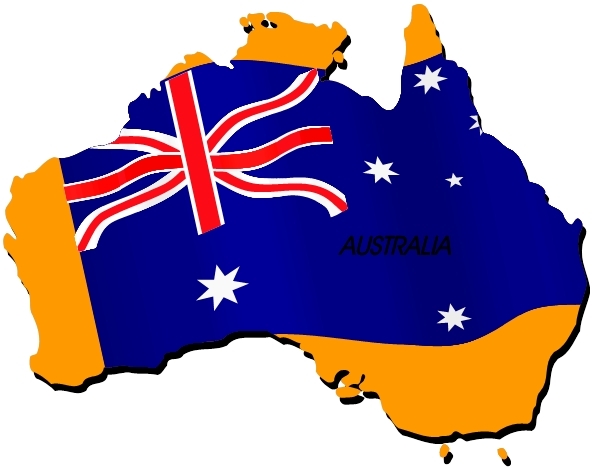 Australia… Tasmania has clearly gone on its travels! I don’t know how many of these we had, I only remember the British Isles, New Zealand and Australia. The two former countries held less interest for me than the latter for some reason. I was fascinated by Australia, particularly the pictures of the windmill, the koalas, some big train, a boomerang and the Sydney Harbour Bridge; but more than anything by Tasmania. You see, in the version we had, Tasmania was a tiny jigsaw in its own right – not attached to the main continent. I loved making up the representation of this apparently wee island and placing it wherever I liked around the coast of Australia. My favoured spot for it was off the northern tip of Queensland, but I was happy for it to move around on a whim. And so, all these years later, despite now knowing exactly where Tasmania belongs, to me it will always be a magical, untethered island, free to circumnavigate Australia. I find it hard to believe reports from Narf of cold winters as, surely, it should just migrate north to warmer climes; and when it’s too wet – why not go somewhere drier? More recent versions of the jig-map appear to have Tasmania fixed in one spot… it’s just not the same! Forget Tasmania, where is the snail of happiness? It’s no good, now I have to o and look it up. If I remember rightly Errol Flynn was from Tasmania. Now that I didn’t know… I don’t think he was one of the iconic images, but maybe he should have been! I think the snail of happiness comes from this magical moving island. You may be right there! I can’t help feeling that if North and South Islands had been separate, New Zealand would have had a much greater impact on me! At least I remembered NZ… apparently we also had Scandinavia and both Americas, but I had no recollection of them! I love the name ‘Taswegians’… the only thing I remember from the jigsaw was a picture of an apple. Carpentaria right at the top, so it can take advantage of the warmer weather in Queensland and the Northern Territory. I think the train that featured on your map must have been the famous ‘Ghan’, or perhaps the Indian Pacific, which goes from Sydney to Perth. There are many in Australia from southern states, grey nomads amongst them who make the trek form colder climes in winter to the sunny north. I image Tassie, although it owns its environment proudly would like a “beautiful one day, perfect the next”. I think many of us would like to be able to migrate like this… especially if we could take all the comforts of home and neighbourhood with us. Tasmania does travel! It’s with me everywhere I go, carried in my memories and my way of being in the world. Good thing too, as it turns out I’m going to be away from home for a lot longer than I counted on. Oh, I haven’t been keeping up with what everyone is up to… are you staying in Peru? How exciting… looking forward to hearing about your Masters. What a marvellous vision… I’m sure everyone will be delighted! This post is an ode to maps and their magic in our imaginations. I remember the first time I saw the Italian lakes on a map in grade school. When I finally got there, they were just as magical as I’d imagined. I’m sure Tasmania would be the same for you! Maps are truly wonderful things. And I discover that my nieces and nephew continue to enjoy these particular jigsaw puzzles even now (they are in their 20s! ).